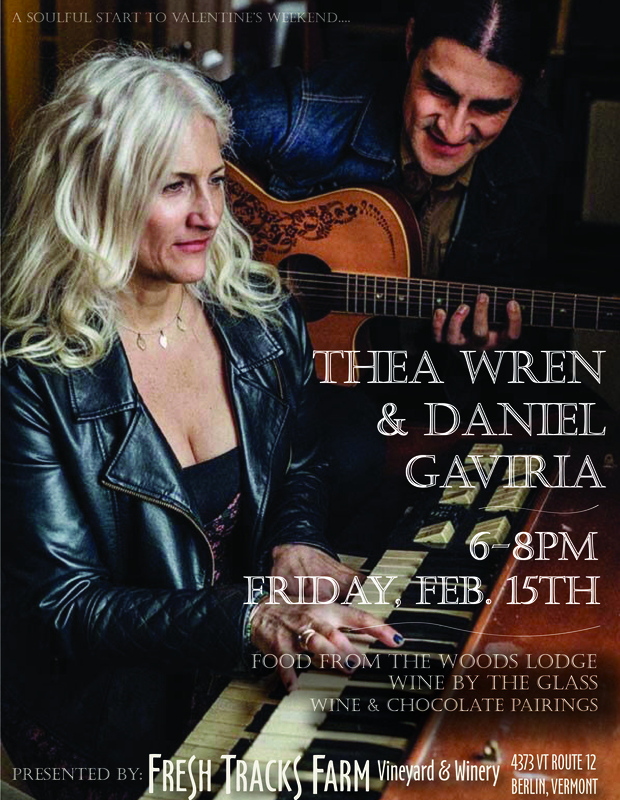 Start off your Valentine’s Weekend with VT talents Cynthia Braren and Daniel Gaviria as they fill our cozy tasting room with soulful jazz and rock-leaning music! There will be food available for purchase from The Woods Lodge, and all of our wines will be available by the glass, along with other non-alcoholic beverages. There is no charge to attend, so come one come all! If any chocolates remain from our Wine & Chocolate Weekend, then you can look forward to the opportunity for a wine and chocolate pairing as well!